Shrine to Morgoth cannot have attachments and cannot enter the staging area. Forced: At the beginning of the quest phase, flip Shrine to Morgoth to its Underwater side, without removing its progress tokens. 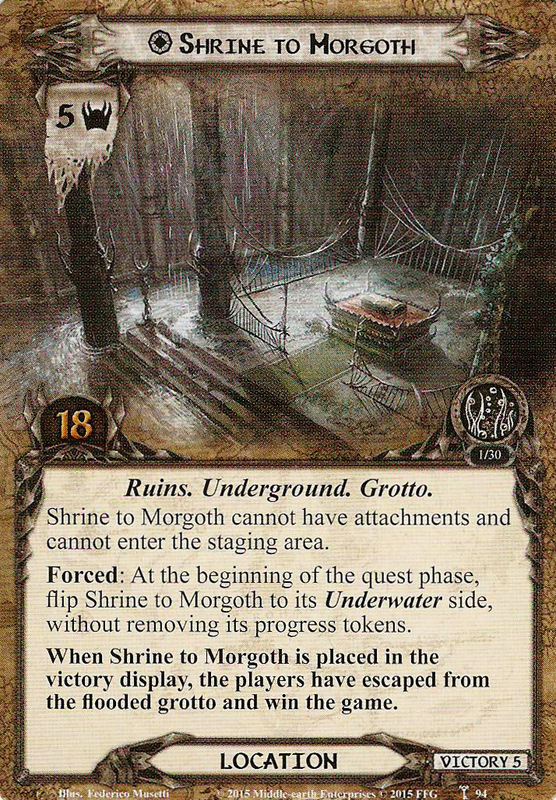 When Shrine to Morgoth is placed in the victory display, the players have escaped from the flooded grotto and win the game.